The Eshelman Legal Group has seen over the years, that when people are in either a serious accident or have been the victim of some type of personal injury, such as a work related injury or medical malpractice, that it is human nature to discuss their injury with their closest friends and or family. In doing so, others will share their experiences or their knowledge of the law and your legal rights. Many times this information is not accurate which tends to hinder many people who listen and take this information to heart. We know your family and fiends have good intentions but most times they just do not have the full knowledge of Ohio personal injury law. The information others share with you can form your actions and opinions and can influence you not to take action at all and thus not receive your compensation or may even slow you down enough to hesitate and therefore you may miss the time limits set in Ohio for your specific injury case. Now you have forfeited your window of opportunity to file a claim and receive your deserved compensation. This can be devastating. Most people, if they have never been through an actual injury case, just do not understand Ohio law enough to consult with others. That is why we suggest that you call us first. 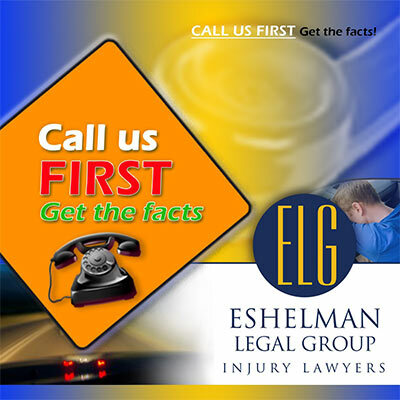 By calling the Eshelman Legal Group first, you will get the facts on what you can and should do and why you need to do these things. You will know the time frame in which to act. You will know what information needs to be gathered now and in the future. The call to the Eshelman Legal Group is FREE. Your initial consultation is also FREE. If you decide to move forward and allow us to represent you in your injury case, you do not pay unless we win your case. With a contingency case, we will fight hard to get you every last dollar you deserve and need. That is why we say call us first. You will receive accurate legal advice. No more uncertainties or guess work by listening to all the other opinions. You will have a clear path and can find peace of mind knowing someone who is very credible and has the respect of the Ohio legal system and the respect of the major insurance companies is working for you 100% of the time until your case is settled. Remember, if you are the victim of any type of personal injury, car accident, work injury, defective drug, defective product, dog bite, nursing home neglect, or medical malpractice, call us before you ask anyone else's opinion. We know the facts, we know what has to be done, "We'll Make Thing Right"
Attorneys Richard & Jason Eshelman have represented hundreds of clients over a span of 40 years in the Northeast Ohio area. 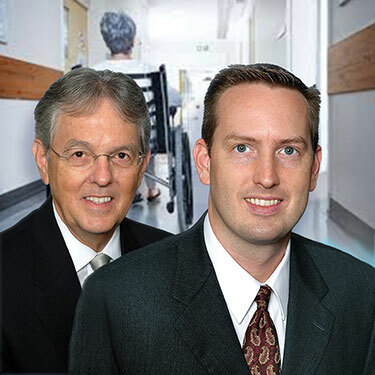 We’ll make things right when you’ve been injured as a result of another's negligence. Before you talk to any insurance adjuster, CALL "The Eshelman Legal Group"...Without legal representation, you could settle your claim to cheaply or make statements to the adjuster that could greatly hinder your case. The Eshelman Legal Group has been helping clients in northeastern Ohio for over 40 years. Our experience is in personal injury. 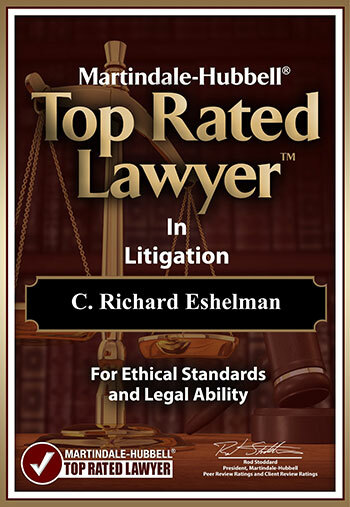 The Eshelman Legal Group understands this area of law thoroughly. Helpful videos for those who may have been injured or have a friend or loved one that may have suffered injury or death.